2019 Forest River Sandstorm T272SLC Toy Hauler with Solar Power! 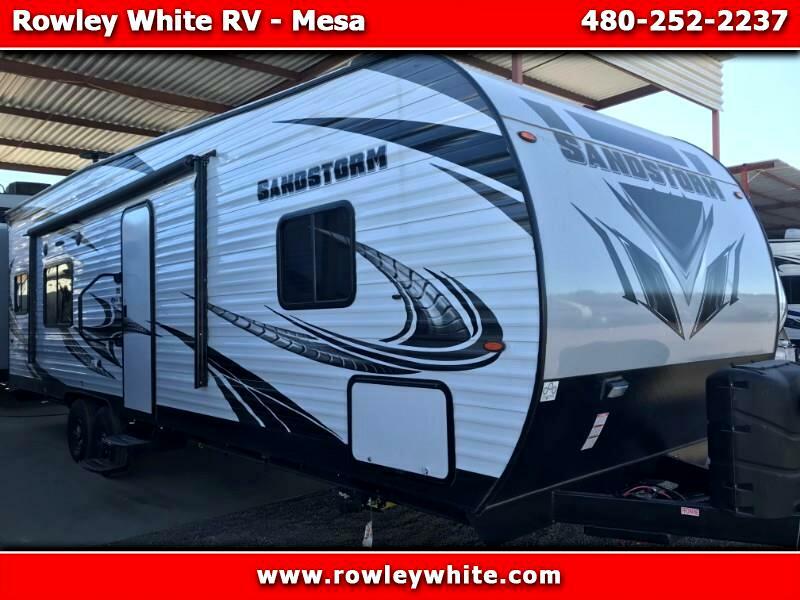 Rowley White RV, Your Toy Hauler Specialist, is excited to offer this NEW 2019 Sand Storm T272SLC Toy Hauler by Forest River! Dual rear electric bunks, with 77” under the bunks in the up position OR 86" with the dinette folded in the downward position! There is over 11’ of cargo space to the first cabinet and over 16’ on the other side! 77” under the bunks in the up position OR 86" with the dinette folded in the downward position!